Beautiful collection, Kellie! 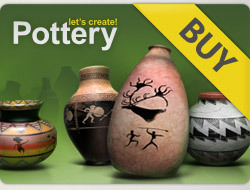 5* x 79 charming pots! Hello, Kellie . 5 Stars⭐️ ⭐️ ⭐️ ⭐️ ⭐️ for your entire gallery! I enjoyed visiting. It is wonderful. Have fun with the pottery. See my pages when you can and rate the pots you liked. I will be glad. Wish you all the best. Welcome back, Kellie ♥ Happy New Year !!!! I rated the first 24 marvellous pieces from your lovely gallery with 5stars! Your pots are amazing!!! 5***** for all of them on all 7 pages!!! hi, pretty creatios 5 ☆ ☆ ☆ ☆ ☆ x 6 my fav beautiful pots,good day!